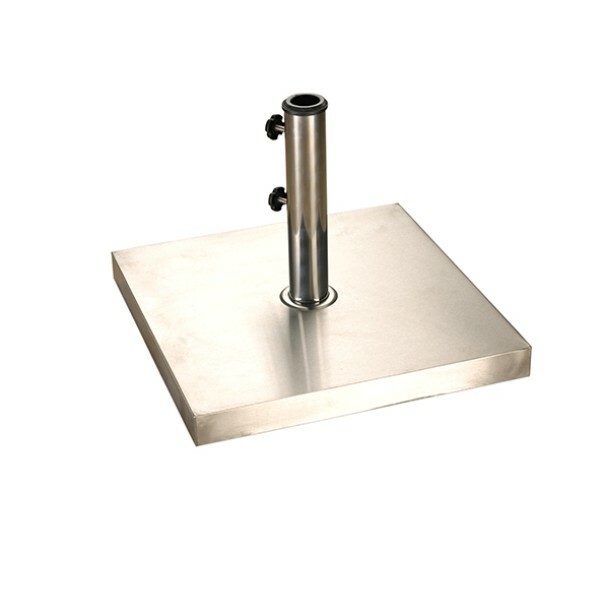 The Royalcraft Square Stainless Steel 25kg Parasol Base is the perfect way to safely hold parasols with stems between 38mm to 48mm wide. Made from stainless steel, the contemporary base is sturdy and reliable and will suit modern patios and gardens. The base also ensures those sitting around your table have plenty of foot room, as the sleek base does not take up too much space. The aesthetically pleasing base is of excellent quality and has an adjustable lock system to keep your parasol firmly in place.